A committee headed by financial services secretary Rajiv Kumar has recommended stopping wilful defaulters with loans exceeding Rs 50 crore from travelling overseas without prior approval. Back in March, Minister of State for External Affairs MJ Akbar disclosed in Parliament that as many as 31 business people facing a CBI investigation have flown the coop so far. The list not only includes current headline-hoggers like Nirav Modi, Mehul Choksi and Vijay Mallya, but also long-forgotten names like Pushpesh Kumar Baid and Chetan Jayantilal Sandesara. But the government has been taking steps towards more proactive vigilance of late, the new Fugitive Economic Offenders Ordinance, promulgated by President Ram Nath Kovind in April, being a case in point. But now the government wants to take things a notch further. According to The Economic Times, a committee headed by financial services secretary Rajiv Kumar has recommended stopping wilful defaulters with loans exceeding Rs 50 crore from travelling overseas without prior approval. Wilful defaulters is an umbrella term used for someone who has not repaid his debt when he can do so or has essentially not used funds for the purpose it had been borrowed for or has disposed off the assets pledged for a loan without the bank's knowledge. In fact, diversion of funds for purposes other than those stated is also considered grounds for being declared a wilful defaulter. The committee had been formed to suggest ways to crackdown on promoters looking to leave the country without meeting repayment obligations. It had representation from the RBI, the ministries of home and external affairs, the Enforcement Directorate (ED) and the Central Bureau of Investigation (CBI). 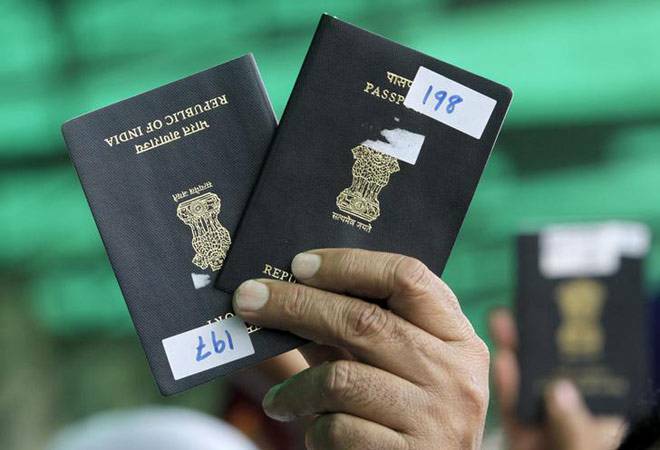 "It was recommended that Section 10 of the Indian Passport Act may be amended to provide that persons who are in wilful default of loans above a specified limit of debt may be treated as financial and economic risk in public interest," a government official told the daily, adding that the limit may be set at Rs 50 crore but the matter is still being discussed. Section 10 deals with the impounding and revocation of passports. However, the government does not want a blanket ban, especially in cases where frequent trips are necessitated by business reasons. So the committee reportedly made it clear that any restriction on foreign travel has to be based on reasonable justification and be tenable legally. "In case of accounts above the limit prescribed and being red flagged based on objective criteria or banks' commercial prudence, they [banks] should be enabled to inform enforcement agencies and the Ministry of External Affairs," added another government official. This development follows the government's earlier move to identify big-ticket borrowers. In March, banks had been directed to seek the passport details of borrowers taking loans of Rs 50 crore and more. Media reports at the time had claimed that the government had asked banks to provide the passport details of an even larger group of individuals - including those who have stood as guarantors for soured loans of the same amount, or more. Moreover, it had reportedly prepared a no-fly list of 91 names involved with companies branded as wilful defaulters. That's a long list indeed, but a desperately needed one given India's troubles with toxic loans. A cursory look at TransUnion CIBIL records reveals the magnitude of the problem. The website lists defaulting companies against which cases have been filed, and for quarter ended June 30, there were a total of 3,385 suit-filed accounts - against companies that had wilfully defaulted on loans of Rs 25 lakh and above - amounting to a whopping Rs 57,523.90 crore. The daily added that the finance ministry had also directed PSBs to examine all NPA accounts of over Rs 50 crore for possible fraud and accordingly report the cases to concerned investigating agencies, including CBI, ED and DRI, if any wrongdoing was detected. Hopefully, these moves will help strengthen India's weak banking sector.